Monsanto has appealed to a California judge to throw out a $289 million jury verdict awarded to a man who claimed the company’s glyphosate-based weedkillers gave him cancer. Johnson’s case was the first of hundreds to go to trial over allegations that glyphosate causes non-Hodgkin’s lymphoma. Following the $289 million jury award, the company is now facing a flood of 8,000 similar lawsuits. Shares in Monsanto’s parent company Bayer plummeted after the August 10 court ruling, and have yet to recover. They are currently worth about 20 percent less than they were prior to the verdict. Monsanto has asked Superior Court Judge Suzanne Bolanos, who presided over the original trial, to set aside the verdict, reduce the award, or grant a new trial. 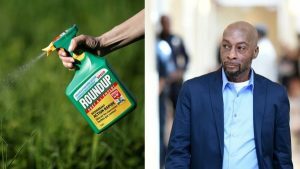 The company claims Johnson failed to prove glyphosate caused his cancer, and that there was no evidence that Monsanto executives were malicious in marketing Roundup. However, glyphosate has come under increasing scrutiny since the French International Agency for Research on Cancer, which is part of the World Health Organization, classified it as a “probably carcinogenic to humans” in 2015. More recently, in 2017, the State of California classified glyphosate as a “known carcinogen” and passed a law requiring products containing the ingredient to be labeled as such. A hearing for the appeal is set for October 10.